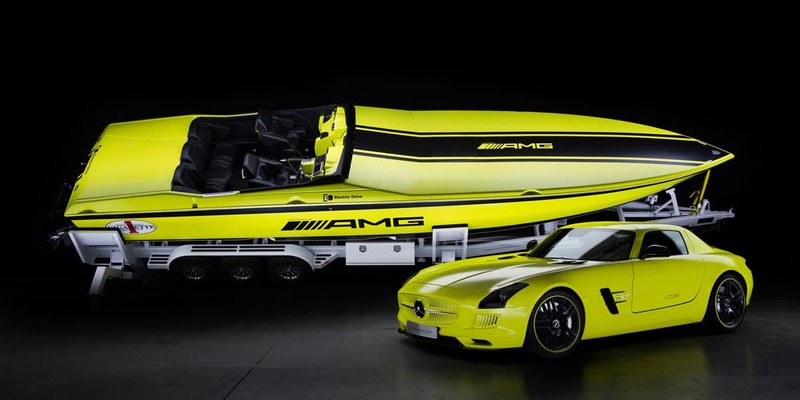 Probably the most interesting and anxiously awaited unveiling at the 2013 Miami Boat Festival would be the Cigarette AMG Electric Drive Concept, the most powerful electrically driven powerboat on the Globe, inspired by the Mercedes-Benz SLS AMG Electric Drive supercar. 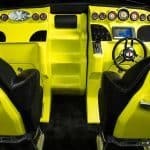 The amazing car this boat is made after is capable of generating a mind-boggling 704 HP (552 kW) and a torque of as much as 1,000 Nm (737 lb-ft) – these figures are quite enough for every accomplished, or, better said, bonkers driver out there. And if you consider all this power comes with null CO2 emissions, you’ll probably want one of these as well. 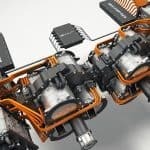 And it’s coming from the ambition of the Mercedes-Benz specialists, who weren’t content with just having an all-electric powerboat, but solely with the most powerful one in the world. 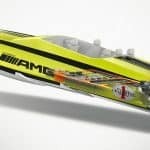 This is valid for both its designers and builders, Mercedes-Benz and Cigarette Racing. 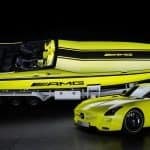 Measuring 38 feet in length, the powerboat is decked with AMG branding on the sides and the top of the bow, above the matte chrome yellow paint named by AMG the Electricbeam mango. 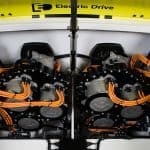 It takes around 7 hours for the 220 kW chargers to refill the boat’s batteries. 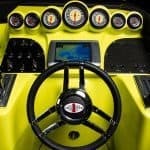 And let’s not forget the top speed, which is way above 100 mph, on water of course, all due to four 60 kWh lithium-ion batteries and two banks of 6 liquid-cooled, permanent magnet synchronous electric motors. 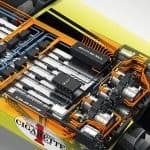 This sums up at around 240 kWh, able to provide enough muscle to move the boat above water. 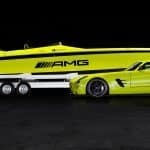 Finally, modestly speaking, this extraordinary powerboat only manages to pull out 2,220 HP (1,656 kW) and 3,000 Nm (2,212 lb-ft) of torque – my God!